This is a one-of-a-kind art piece. 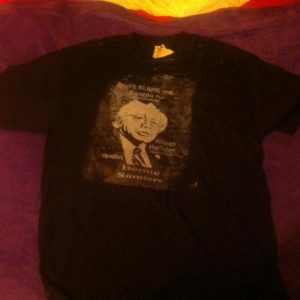 This is a shirt named, “Shadow Government” because it has two images of Bernie Sanders. This is a one-of-a-kind art piece. 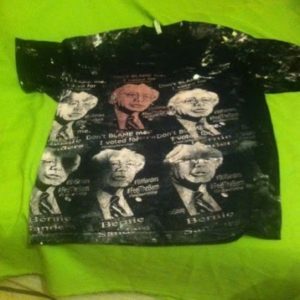 This is a shirt named, “Thick Mint” because it has a thick lime green image of Bernie Sanders. We highly recommend that you put it in a frame and hang it on a wall. 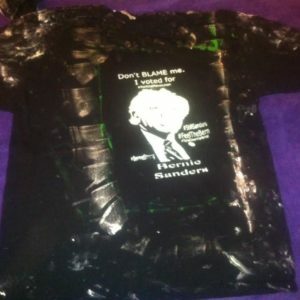 Wear it to a rally or two but I would try to pass this on to someone. It could be worth a whole lot someday. It is a one-of-a-kind item in the 2nd series by this artist. 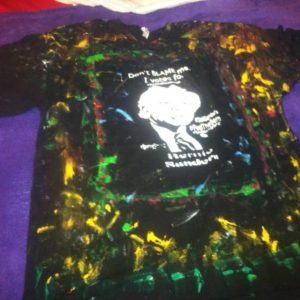 This is a black shirt with mint green and other colors of paint. 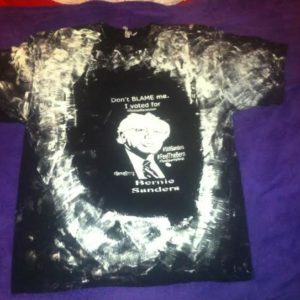 Watch how we make the Bernie Sanders T-Shirt! !